The Orleans hood incorporates a finely profiled arched frieze opening with a heavier Classically profiled cornice profile for a somewhat contemporary yet definitely French inspired appeal. The block trumeau add weight to the subtle frieze details. The Orleans hood is a great focal point for a kitchen that is subtle yet bold in it's stone weight appearance. 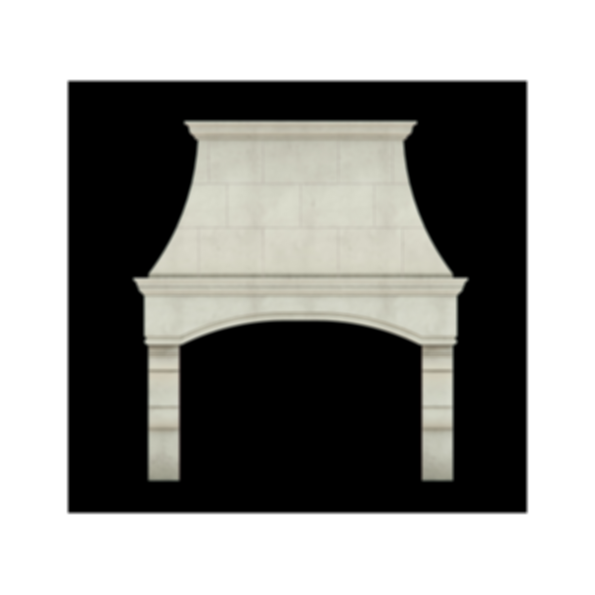 Carefully researched, impeccably crafted and locally produced, Tartaruga's historically accurate fireplace mantel and kitchen hood designs have become the industry's benchmark for value and excellence. This expertise has been honed over generations in the business. Tartaruga's reputation in the industry comes from decades of fulfilled promises, happy partnerships and satisfied clients. Exceptional service, including ongoing support from an in-house professional during the entire process is part of the Tartaruga experience. Our artisans and technicians are on hand every step of the way to help make your vision a reality.